The North Korean State, under the command of Kim Jong Un, commits systematic, widespread and grave violations of human rights that contravene international law, and therefore the Kim regime should be held accountable for its actions. On a daily basis, 24 million North Koreans suffer to varying degrees because of the incredibly oppressive tactics of the Kim regime, all while its leaders continue to build up North Korea’s weapons capabilities designed for regime preservation. Kim Jong Un’s government commits mass atrocities under the shield of state sovereignty and avoids any level of accountability by striking fear throughout the international community. Mass atrocities, however, are comprised of thousands of individual stories of suffering. Joseph, a recent defector, is one victim of the Kim regime. Joseph defected from North Korea in the late 2000’s. Now in his early twenties, he has also undergone more tragedy in his short lifetime than anyone should ever have to. Joseph is the youngest child and only son of a family that he will likely never see again. Joseph was a young teenager when his father passed away from starvation. Shortly thereafter, his mother was taken by North Korean officials and never heard from again. Joseph’s sister attempted to travel to China to earn money in order to provide food for her brother and her, but Joseph does not know if she was successful. At only thirteen years old, Joseph became an orphan in North Korea. He barely survived each day, constantly searching for food, until he miraculously escaped to China when he was sixteen. Joseph can tell us about the extreme hardships he faced, but until we, as an international community, care enough that a young boy can lose his whole family and not remember a time he was not hungry (and this is considered a ‘success story’ for North Koreans), then there will be more people who are not even as ‘lucky’ as Joseph. Over the course of the last 65 years or so, the principles of state sovereignty, sovereign equality of states, and non-intervention have slowly eroded to allow individual perpetrators to be held accountable for actions society has deemed to be the most egregious and ‘worst of the worst.’ With developments in international criminal law due to the horrific tragedy of the Holocaust, less priority has been placed on a state consent-based system. “Prior to WWII, states could do pretty much anything they wanted to internally and it would be a violation of a state’s sovereignty to try to intervene.” Since then, however, there is no longer head of state immunity or substantive immunity for actions that rise to the level of crimes against humanity, war crimes, genocide, and crimes of aggression. There are no statutes of limitation (SOL) for these crimes and states do not have to agree to the respective laws. In July 2002, the Rome Statute of the International Criminal Court (Rome Statute) was created to establish the International Criminal Court (ICC), which was designed to prosecute perpetrators of atrocities. The ICC prosecutes “people accused of genocide, crimes against humanity and war crimes. It offers the hope that some of the perpetrators of the worst crimes committed in armed conflicts will be brought to justice.”  The Court has temporal jurisdiction which limits it to crimes under its subject matter jurisdiction committed from July 2, 2002 and onwards. As of May 2013, there were 122 states parties (either ratified or acceded) to the Rome Statute. These are states that have agreed to be held to the ICC’s jurisdiction. As a result, Kim Jong Un could be held accountable in the future under the Rome Statute, based on his current actions, which arguably constitute crimes against humanity and genocide. The Covenant thus explicitly prohibits arbitrariness in the deprivation of life (art. 6), arrest and detention (art. 9), exclusion from one’s own country (art. 12) and interference with privacy, family, home or correspondence (art. 17). The Covenant further guarantees fair and lawful process for arrest and detention (art. 9), imprisonment (art. 10), deportation (art. 13) and fair trial (art. 14). Importantly, article 26 recognizes all persons as equal before the law and entitles them to equal protection of the law without discrimination. The evidence from defectors and also satellite imagery from DigitalGlobe indicates that these gulags are growing in size and population. Recently, a BBC reporter traveled to North Korea under the guise of a school-sponsored educational trip in order to obtain more information about North Korea. The reporter made a short video documenting his trip and also interviewed defectors. He asked a defector, who wished to remain anonymous, about life in the gulags. “How did they bury the dead in the winter when the ground was cold?” The defector responded, “No, we don’t bury them. We leave the dead bodies in a warehouse until April. We bury them in April. When we go to bury them, they’re already rotten and totally decomposed. So, they are shoveled like rubbish and buried.” The defector further recounted that there are roughly 70-80 bodies in one hole, and that the camps are getting bigger, not smaller. These gulags, where political prisoners are starved, tortured, and worked to death, have accounted for over 1 million deaths. This figure does not factor in recent intelligence and aerial satellite imagery that shows that the gulags in North Korea are far larger than previously known. Amnesty International estimates conservatively that Kim’s gulags now imprison at least 200,000 people for political reasons. This evidence allows the inference that the Kim regime is committing these acts “as part of a widespread or systematic attack” against civilians, with knowledge of the attack. Therefore, clearly the Kim regime violates international human rights law and international criminal law with the operation of its gulags. As David Hawk has advocated for in his 2012 and 2003 reports, North Korea should dismantle these prisons. Those responsible must be held accountable for the tremendous suffering it has caused as a result of the songbun system and gulags. To meet the legal definition of the crime of genocide, specific intent must be proven. Here, the key phrase in Article 6 is “with intent to destroy, in whole or in part.” The North Korean regime does not allow freedom of religion, and Christians, for example, have been publically executed without due process. “Open Doors designated North Korea as the worst prosecutor of religion in World Watch List 2012…North Korea has been in first place for persecution of Christians for ten consecutive years.” While these actions constitute human rights violations (right to life, right to due process (and other fair trial rights), right to religion, right to free speech, etc. ), the argument should also be made that because of the targeted persecution – with intent to destroy – of anyone in North Korea who practices a religion, namely Christianity, Kim Jong Un is committing genocide. Importantly for purposes of accountability and prosecution, Kim Jong Un does not actually have to kill members of the religious group to constitute genocide. As Article 6 above shows, Kim’s actions could rise to the level of genocide by “causing serious bodily or mental harm to members of the group.” This could appear in evidence from the gulags that the regime imprisoned Christians, with the intent to destroy, and tortured them, thereby causing serious bodily harm to them. The international community is relatively new to the concept of accountability, as it has been more widely accepted in the past to grant amnesty to perpetrators or practice non-interference in internal state affairs. However, there is an increasing trend towards accountability because crimes against humanity, genocide, and war crimes are viewed as unacceptable in today’s world. Although accountability is now preferred over impunity in general, it is still exceedingly difficult to hold violators of international law accountable for their actions. This is evidenced by the fact that very few have been convicted of genocide, for example, although many more have been accused of committing genocide. North Korea would be no exception, unfortunately, as it is practically impossible to hold Kim Jong Un, as the current head of state, accountable at this time. Nevertheless, it is still prudent to consider holding Kim accountable in the future for alleged atrocities because so many victims have suffered, and will continue to suffer, under the regime. While relatively little is known about North Korean leadership, it is obvious that the regime is uniquely oppressive and controlling, and almost all policies and institutions appear to originate from the Kim family, in this case Kim Jong Un. The North Korean power dynamic is one that ensures that the person in charge stays in charge, as is evidenced by Mao Zedong’s teachings that the ‘big guns’ must be controlled so that they do not overthrow the leader. There is evidence, however, that points to the leadership’s structure and organization. The Korean Workers’ Party (KWP) controls the military, in terms of making decisions of personnel and promotions, and it can appoint the top brass since the military is not allowed to appoint its own leaders. The KWP is the sole, all-powerful political body. Under the KWP, there is the Political Bureau, the Party Secretariat, and the Central Military Commission. Kim Jong Un, although only about 29 years old, appears to be commanding the Korean leadership, military, and citizens. 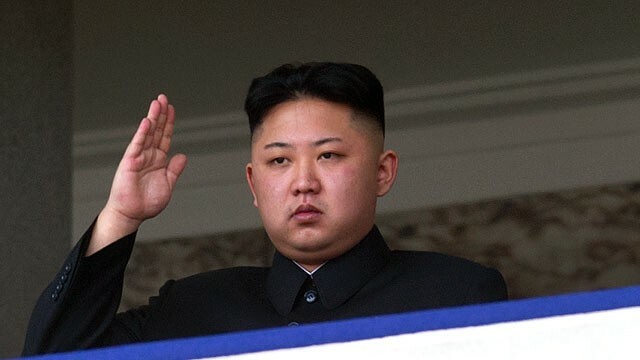 Kim Jong Un is the head of all three sub-organizations under the KWP. Additionally, he chairs the National Defense Commission and its subordinate Armed Forces and State entities. As a result, in the event of a regime collapse and transition away from the current state of North Korea, Kim Jong Un will be the most likely, visible, and logical suspect to be tried for atrocities. As mentioned, though, the prosecution of Kim Jong Un is currently unrealistic. Kim is North Korea’s leader, but there is currently little political will and practical means to bring him before the ICC. When the regime eventually collapses – assuming Kim Jong Un is still alive – it will, however, make sense and be far easier to try Kim Jong Un for atrocities committed. In past instances of accountability, heads of state or “senior leaders” have been charged with international crimes. The regime, of course, only releases information that it desires to have the world see, but thus far this tells us that Kim Jong Un is responsible for the actions that the State takes. Although many of the worst atrocities began prior to Kim Jong Un’s rule, as head of state he has made no effort to cease these activities (e.g. dismantle the gulag system). Jang Sung Taek is recognized as the second most powerful person in North Korea after Kim Jong Un. He is a prominent politician, leader, and the uncle of Kim Jong Un (as the husband of Kim Jong Il’s sister). In North Korea, family members of the Kims are normally given special, privileged statuses, and Jang Sung Take is no exception to the rule. Currently, Jang Sung Taek’s role in alleged human rights violations and atrocities is not completely established due to the secrecy of the regime. However, when more information becomes available that confirms Jang’s role and authority in state decision-making, it may likely be evident that Jang Sung Taek is also responsible for atrocities as a ‘senior leader.’ In a similar vein, it is possible that other senior leaders, mid-level leaders, or perpetrators of atrocities may come to light. Currently, there is not enough information to determine everyone who may be responsible for atrocities (such as members of the In-min-bo-an-seong (People’s Safety Agency) and the more political Kuk-ga-bo-wi-bu (National Security Agency)). The recently established UN Commission of Inquiry, though, may discover this evidence (see below). The United Nations Security Council (UNSC) may impose sanctions on a state that does not comply with international laws regarding state sovereignty and then becomes out of compliance with a UNSC resolution. “Member States can sanction the DPRK by ‘complete or partial interruption of economic relations and of rail, sea, air, postal, telegraphic, radio, and other means of communication, and the severance of diplomatic relations.’” North Korea has already undergone this process, however for reasons other than human rights violations. On multiple occasions, economic sanctions have been imposed upon the country as a result of North Korea’s unwillingness to disengage its nuclear armament program. These sanctions reduced North Korea’s ability to receive foreign aid, such as food and oil, which drastically hurt its civilian population. While North Korea has not been persuaded by these sanctions, however, the UNSC has the authority to impose harsher penalties and even call for military intervention in North Korea. Despite North Korea’s adamant objection to outside criticism of its human rights practices, the UN recently took an unprecedented, affirmative step toward investigating alleged human rights abuses. On March 21, 2013, the UN Human Rights Council (OHCHR) voted unanimously to establish a North Korea Commission of Inquiry (COI). Although the UN has looked at North Korea in the past, it has mainly focused on North Korea’s nuclear weapons proliferations. This time, however, the ‘international community’ (more specifically, the European Union and Japan, the nations who brought the resolution before the OHCHR) has clearly shown its concern for potential human rights abuses in North Korea. The resolution, A/HRC/22/L.19, also extended the mandate of the Special Rapporteur on the situation of human rights in North Korea for one year. According to a Geneva Academy conference on commissions of inquiry, there are two different kinds, national and international. A COI investigates potential violations of international human rights law and/or humanitarian law. It does not appear that there is a standard construction to COIs, but recently a COI was established for the potential atrocities in Syria. A commission is supposed to investigate alleged violations of law, gather evidence, and issue a report(s), all in a fair and unbiased manner. However, the work of the COI is not impossible if it is denied entry to North Korea. After all, as Dr. John Park pointed out recently, the roughly 24,000 North Korean defectors in South Korea are a relatively untouched information resource. Ideally, the COI will have the cooperation of the South Korean government and North Korean defectors in order to search for the truth about what the Kim regime’s alleged acts of atrocities. Although much of our world order is predicated on a common understanding of the priority of state sovereignty, a concept both necessary and disastrous at times to global functioning, we must stand in solidarity with our fellow human beings in North Korea who are the victims of deeply troubling atrocities. The Kim regime should not be allowed to continue to infringe upon the lives of the innocent in the name of sovereignty. As discussed, the Kim regime’s systematic, widespread, and grave violations of human rights make the leaders liable for crimes against humanity and genocide. As a result and at minimum, Kim Jong Un should be held accountable by the international community for these egregious actions. While currently it is highly unlikely that Kim will be held accountable, the international community should continue to investigate Kim’s actions with a future case before the ICC in mind. When North Korea collapses and the state shifts from Kim’s control to a democracy, victims of atrocities should be able to expect that Kim will not receive impunity. [T]he historic moment of truth, the defining moment in pan-Korean policy, will come when the Korean people are faced with the task of resolving once and for all – for the sake of the rule of law, moral values, psychological closure and posterity – the multifarious crimes against humanity committed by the Kim Jong-il regime. Joseph, “My Life in North Korea:” A Testimony by Joseph, a North Korean Defector, The Fletcher School, March 28, 2013, http://fletcher.tufts.edu/Calendar/2013/03/28/My-Life-in-North-Korea-A-Testimony-by-Joseph-a-North-Korean-Defector.aspx. John Cerone, Substantive Crimes, Transitional Justice class guest lecturer, The Fletcher School, 2013. See Convention on the Non-Applicability of Statutory Limitations to War Crimes and Crimes Against Humanity, G.A. res. 2391 (XXIII), annex, 23 U.N. GAOR Supp. (No. 18) at 40, U.N. Doc. A/7218 (1968), entered into force Nov. 11, 1970, available at http://www1.umn.edu/humanrts/instree/x4cnaslw.html; see also Rome Statute, Article 29: Non-applicability of statute of limitations. ICC, Rome Statute of the International Criminal Court, U.N. Doc. A/CONF.183/9*, http://untreaty.un.org/cod/icc/statute/romefra.htm (Rome Statute). Amnesty International, Armed Conflict , May 7, 2011, http://www.amnesty.org/en/armed-conflict. Grace M. Kang, A Case for the Prosecution of Kim Jong Il for Crimes Against Humanity, Genocide, and War Crimes, 38 Colum. Human Rights L. Rev. 51, 64 (2006). Wikipedia, States Parties to the Rome Statute of the International Criminal Court, http://en.wikipedia.org/wiki/States_Parties_to_the_Rome_Statute_of_the_International_Criminal_Court. Kang, supra note 7, at 63-64. Rome Statute, supra note 5, at Article 7. Wikipedia, Sung-Yoon Lee, http://en.wikipedia.org/wiki/Sung-Yoon_Lee (citing Sung-Yoon Lee, Exhuming North Korea’s Crimes Against Humanity / Pyongyang shoots itself in the foot, April 5, 2008, The Korean American Press). DigitalGlobe Analytics, North Korea’s Camp No. 25, 2013, http://hrnk.org/uploads/pdfs/HRNK_Camp25_201302_Updated_LQ.pdf. John Sweeney, North Korea Undercover, BBC Panorama, April 15, 2013, http://www.youtube.com/watch?v=CAG9kvep67E. Unidentified defector’s statement, North Korea Undercover, BBC Panorama, April 15, 2013, http://www.youtube.com/watch?v=CAG9kvep67E. Wikipedia, Human Rights in North Korea, http://en.wikipedia.org/wiki/Human_rights_in_North_Korea. David Hawk, The Hidden Gulag Second Edition, April 10, 2012, http://hrnk.org/uploads/pdfs/HRNK_HiddenGulag2_Web_5-18.pdf. See Grace M. Kang, A Case for the Prosecution of Kim Jong Il for Crimes Against Humanity, Genocide, and War Crimes, 38 Colum. Human Rights L. Rev. 51, 65 (2006). Rome Statute, supra note 5, at Article 6. Network for North Korean Democracy and Human Rights (NKnet), Desperate People’s Realm of North Korea, 16-20. Sung-Yoon Lee, class discussion, 2013. HRNK, North Korean Leadership Watch, http://www.hrnk.org/about/north-korea-leaders.php. Sung-Yoon Lee, class discussion, April 16, 2013. David Hawk, The Hidden Gulag: Exposing North Korea’s Prison Camps, 2003, http://hrnk.org/publications/hrnk-publications.php?page=2. Eric Yong-Joong Lee, Legal Analysis of the 2006 U.N. Security Council Resolutions Against North Korea’s WMD Development, 31 Fordham Int’l L.J. 1, 12 (2007). Global Policy Forum, Sanctions Against North Korea, http://www.globalpolicy.org/security-council/index-of-countries-on-the-security-council-agenda/north-korea.html. Chris Green, Act Now, COI Warns Both Koreas, Daily NK, March 23, 2013, http://www.dailynk.com/english/read.php?cataId=nk00300&num=10434. Human Rights Council, Council establishes Commission of Inquiry to investigate Human Rights Violations in the Democratic People’s Republic of Korea, OHCHR, March 21, 2013, http://www.ohchr.org/en/NewsEvents/Pages/DisplayNews.aspx?NewsID=13178&LangID=E. UN News Centre, Commissions Of Inquiry Alone Cannot Fight Impunity Against Torture – UN Expert, March 5, 2012, http://www.un.org/apps/news/story.asp?NewsID=41455&#.UU3Us6X3A60. Geneva Academy, Human Rights Council Inquiry Conference Brief, http://www.geneva-academy.ch/docs/news/HR-council-inquiry-conference-brief.pdf. Chris Green, supra note 31. Human Right Council, supra note 32. ICNK Welcomes The Establishment Of A UN Commission Of Inquiry, March 22, 2013, http://www.fidh.org/ICNK-welcomes-the-establishment-of-13066. Stephanie Nebehay, U.N. Starts Inquiry Into Torture, Labor Camps In North Korea, March 21, 2013, http://www.reuters.com/article/2013/03/21/us-korea-north-un-idUSBRE92K0SZ20130321. Dr. John S. Park, How Are Financial Sanctions Boosting North Korean Procurement Capabilities? The China Factor, The Fletcher School, March 12, 2013. Sung-Yoon Lee, Pyongyang Shoots Itself in the Foot, Asia Times Online, April 5, 2008, http://www.atimes.com/atimes/Korea/JD05Dg01.html.